A dog named Tillie, who saved the life of her friend after a week-long ordeal, has been awarded one of her state's top honors. On Thursday, Washington Gov. Jay Inslee declared the sweet Irish setter-spaniel mix "Washingtonian of the Day" in recognition of her remarkable show of love. 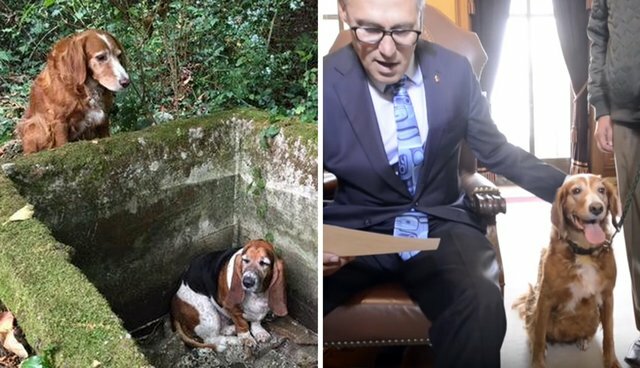 "I urge everyone in Washington to celebrate the bravery and loyalty of this canine hero," said Inslee, while Tillie smiled at his feet. 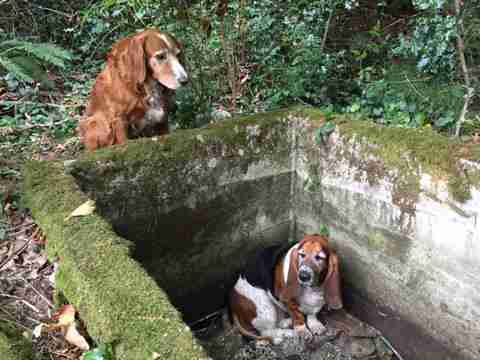 Last month, Tillie and her sister, a basset hound named Phoebe, had been out for a walk near their home on Vashon Island, north of Seattle, when they failed to come home. Unbeknownst to their owner, BJ Duft, and Amy Carey from a local animal rescue group who'd volunteered to help in his search, Phoebe had fallen into a cistern and was unable to climb out. She likely would have died there - if it weren't for Tillie, who remained by Phoebe's side. 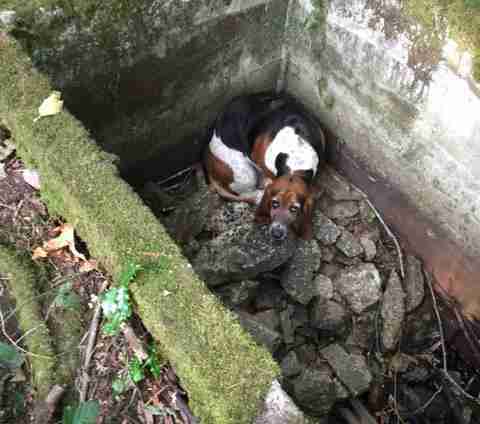 After rescuers failed to find them, Tillie ventured out to get help herself. "We had been out looking for about a week when we heard from a farmer here who noticed a reddish dog on his property," Carey told The Dodo at the time. "She had quietly approached him, and when she got his attention, turned around and headed back toward this ravine nearby. I decided to go check it out." That's when she found Tillie, standing at the edge of the cistern, alerting Carey to where Phoebe was trapped. "She just stayed put, making it so clear that I had to come to her so I would see her friend," said Carey. "It was Tillie going very pointedly up to this person in their pasture, letting herself be seen, and running back to Phoebe - that's why we found them. It's really amazing."